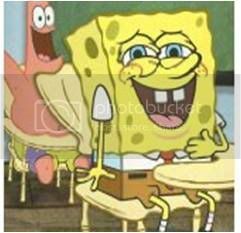 Have you ever wondered about SpongeBob SquarePants and Jimmy Neutron taking the UPCAT? Who do you think would pass the test? I guess you would most likely vote for Jimmy Neutron, right? Why, this 11-year-old American genius has sudden surges of thought which he calls Brain Blasts. So it would be a hands-down choice for Jimmy. But don’t jump yet to this conclusion because our underdog favorite, SpongeBob, has something that Jimmy doesn’t have. And because of this “something”, the story (as the title of this article suggests) is given an interesting twist. If you could describe SpongeBob with three words they would be optimistic, fearless, and relentless. SpongeBob is a jolly sponge with a shining personality. When something terrible happens to him, he never panics. He analyzes the situation, and sees it from the best possible angle. When he and Patrick took the UPCAT, Patrick panicked while taking the test especially the Math section and was terrified at the thought of failing the UPCAT and the possibility of never making it to UP. SpongeBob was completely optimistic. He had faith in his test-taking skills. These skills enable him to pass the UPCAT. Spongebob might have failed the UPCAT had he not been his usual optimistic self. Acquiring even a tiny portion of Spongebob’s optimism would surely boost your confidence level while taking the UPCAT. Although SpongeBob exhibits fear in many situations, his innocence mixed with fearlessness makes an exciting combination. He knew that he was competing with 86,000 other UPCAT examinees when he took the test and many of them (like Jimmy Neutron) are a lot more intelligent then he is. But he was able to convince himself that no amount of scare tactics (e.g. UPCAT is extremely difficult, UPCAT is only for the genius, etc.) could derail his dream of making it to UP. He was able to erase test anxiety completely from his system. Just ask Squidward! Remember when SpongeBob wanted to play games with Squidward; 95% of the time, the latter said “No!” But SpongeBob kept asking, literally dozens of times, until Squidward finally gave in. He did the same during the time that he was still reviewing for the UPCAT. He kept on practicing with the UPCAT review materials he had. He kept on asking his teachers on difficult concepts and problems. He kept on visualizing himself as a freshman (I mean freshsponge) in UP. His relentlessness proved to be a key factor in his success of passing the UPCAT. Now, how on earth did Jimmy Neutron fail in the UPCAT? We all know that James Isaac Neutron (a.k.a. 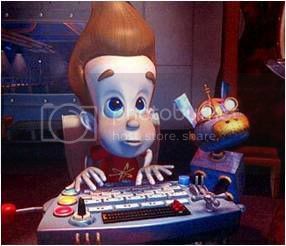 Jimmy Neutron) goes to grade school during the day and invents crazy gadgets at night. In fact, he has even designed a rocket that propels him high enough beyond the earth´s atmosphere, permitting him to launch a communications satellite made from…a toaster. Well, indeed Jimmy’s a genius. He belongs to the upper 2% of the population set apart from others by their ability to reason, problem-solve, and answer questions based on learned information. This is not to say that a genius is somehow better than everyone else. Work skills, social skills, and simple and complex motor skills may escape these brainy folks — and all these skills are just as important as smarts for determining an individual’s success. 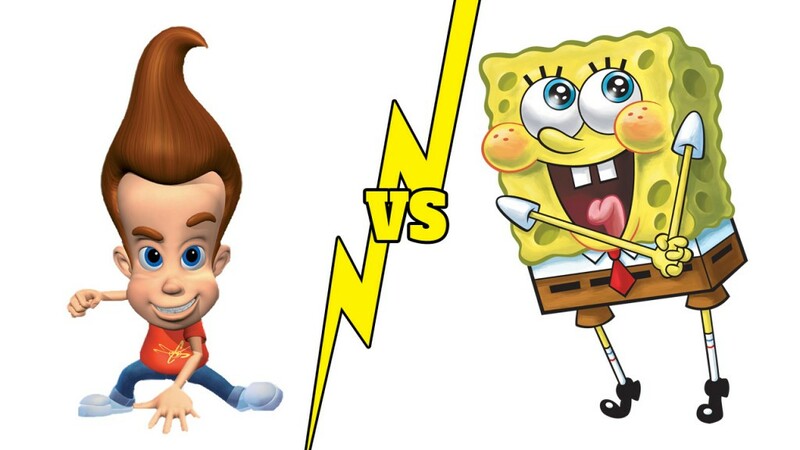 And that differentiate Jimmy from SpongeBob. Because of so many achievements in and out of school, Jimmy became proud and it hindered him from growing and learning the techniques and tips to ace the UPCAT. He never asked for any help from anyone; neither did he take time reviewing for the UPCAT when everybody was! He was so overconfident in believing that his Brain Blasts would be enough to get a perfect score in the UPCAT. Aside from the fact that he became complacent, he never intentionally prepare for the UPCAT. In fact, he was so pessimistic about the mental exercise (i.e. the UPCAT) especially that his love interest, Cindy Vortex, was allotting so much time reviewing for the UPCAT. So instead of studying with his girlfriend, he tried to invent stuffs that could annoy her and his other classmates while they were reviewing. He became so obsessed with destructive things that they occupied almost all his time when he was supposed to be reviewing. Because he was endowed with highly unusual gifts, he was expected to pass the UPCAT with flying colors. His parents, his friends, his teachers, and everyone in Retroville were anticipating his spot among the Oblation Awardees. But because of lack of preparation, he became anxious during the UPCAT day. He made careless mistakes. He did not follow instructions correctly. He was even reprimanded by the proctor and threatened to be disqualified because he wrote his solutions on the test booklet instead on the scratch sheet. It was all messed up. And worse, he was not able to answer 30 items in the Math sub-test! It is now no wonder why Jimmy did not make it. This just proves that a genius is just as likely to fail in the UPCAT as anyone else. Correct attitude and action on a role to take – to prepare becoming an examinee of an examination!